Enjoy your holidays in comfortably equipped apartment Pave on the seafront. 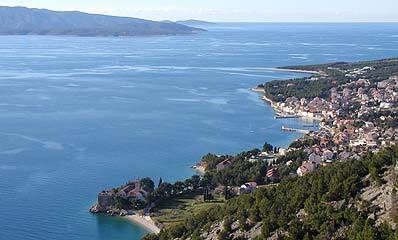 We're proud to present information pages of island Brac, and town of Bol, Croatia. Brac is situated between islands Solta and Hvar and it's biggest middle Dalmatian island with 395 km2 of space. With it's unspoiled nature, beautiful beaches (check for Golden cape), cultural and historycal attractions, and well developed tourist and sport offers, Bol is one of the best known tourist destinations in Croatia. Bol is just about a hour away by boat from city of Split, which is second biggest Croatian city, well connected with the rest of Europe. Brac also has it's own airport, enabling you to get to Bol really fast and convinient and spend beautiful holidays. Although Bol is one of Croatian "brand name" destinations, we would like to provide you with really detailed, insight information. 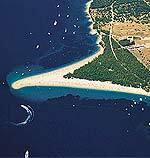 We are mostly local people, who live in Bol, Brac and the nearby Croatian holiday resorts - and work in different kinds of tourist activities, windsurfing, diving, and accommodation. We would like to enable you to discover Bol and beautiful Brac, and to help you to get here, find your accommodation, prepare yourself for visits to most beautiful spots of Brac island and choose among different activities here. If it's related to hotels, private accommodation, diving, windsurfing, culture & history - or anything else about Bol, don't hesitate to contact our crew. Until then - keep visiting. In spirit of Bol, we would like to keep you coming back to this site - as someone said for Bol: "who seen it once, keeps coming back." You want to spend your holidays diving or you need certified divers course. In association with our partner diving center - we can offer you extensive diving services in Bol.